The other two are having a plan for classroom management and establishing clear classroom routines. 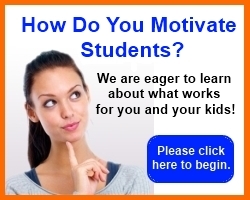 This page is entirely about getting students motivated. If you haven't had a chance to read about the other two pillars, please click on the appropriate link above. If you find some things here that suit your purposes, please feel free to steal, uh, I mean, borrow them. It has to start the very first minute of the very first day in each of your classes. You have to be able to create a classroom environment in which students perceive that they are valued as individuals. They also have to know the importance of the journey that they are about to embark upon with you. Students have to know, right away, that you are in charge and that you are knowledgeable about your subject area. They have to know that you have high expectations of them. Students must realize that you are in the business of success and that you are there for them to ensure that they are successful. On that very first day, every student in every class MUST have an opportunity to be successful. They must leave your classroom with a sense of having accomplished something. For more details about this topic, please see The First Day of School. As I'm sure you will agree, no matter what students are destined to do in their lives as adults, they must become a team player. As a result, they must value the importance of cooperation to achieve common goals. They must also welcome opportunities to compete--with each other and with other groups. Just as they will in their lives. Twin Lakes, just like many other schools, has academic teams. 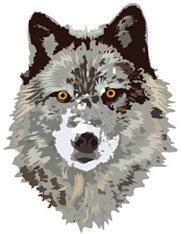 Our school mascot is the Timber Wolf, and each of our academic teams are types of Timber Wolves. My team, for example, is the Alpha Wolves. I talk with students about alpha wolves and why they're called that. I work hard to promote a sense of pride in, and allegiance to, our team. Sports analogies always work well when explaining the importance of cooperation and competition. I place logos of alpha wolves EVERYWHERE--on classroom signs, posters, worksheets, classroom brochures, the classroom website, business cards, and anywhere else I can think of. I make it clear to them that I value them as individual students AND as important members of the group. Some of the ways that I achieve this will become clearer as you get further into this page. Establish goals that are important for the team and pursue them relentlessly. Use the powerful tools of cooperation and competition to add fire to the pursuit. Students at Twin Lakes, like their counterparts everywhere, must do well on state standardized testing. So too, their grades must be good enough to allow them to advance. But, students at Twin Lakes are also required to read 25 books during each school year. As a result, many of the strategies that I use for motivating students involve the 25 Books Campaign example. However, these strategies are applicable to ANY goal, objective, or common core state standard. Here is an example of a project involving cooperation and competition that spanned the course of about one school week. In each of my classes we had a discussion about why reading is important, and students had some interesting but predictable answers. In an attempt to guide students into discovering the importance of reading, I initiated the "Things That We Read" activity. I explained to each of my classes that they would be competing with my other classes on a special activity about the importance of reading. 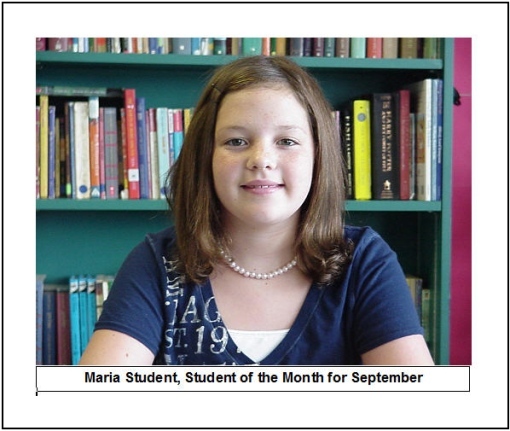 The winning class would be honored with "The Class of the Month" award. They know that this award will come in the form of one of several things--an extra trip to the media center, an outdoor class session, or some other positive reinforcement. There is much more about positive reinforcement that will follow on this page. I divided each of my classes into six groups. I gave each group a portion of the alphabet. Group number one's task was to brainstorm all of the things that we read that begin with the letters A, B, or C. Group two had D, E, F, and so forth. The graphic organizer (shown below) that I used for this activity, along with 24 additional organizers, is available completely free of charge on this page. Nothing was too small to include in their lists. The manufacturer's label on the inside of a T-shirt, for example, is something that we, in fact, can read. Students noted that some people can read palms, but of course, I pointed out that there were no actual words in the palms of hands. Another student was reminded of a tattoo. I agreed. Some tattoos contain words. The brainstorming continued in each group in each class. Eventually, groups entered their lists in a master list, using the free Writeboard online collaborative resource. For more details about Writeboard, please see the Online Teacher Resources page. Once all of the lists from all of the classes were combined we had an IMPRESSIVE and comprehensive listing of things that we read. They also developed a new appreciation for the importance and pervasiveness of reading in our lives. Just as importantly, they used cooperation to effectively compete with other groups to achieve a common goal. Whatever YOUR goals are, and if you don't already do so, please consider incorporating cooperation and competition into your lesson plans. As I'm sure you are well aware, in this era of social networking and text messaging, we teachers constantly struggle to get and keep our students' attention. As difficult as it has become, we just simply have to try our best to make what we're teaching interesting and entertaining. Because students are ALWAYS interested in themselves, I constantly strive to demonstrate how what I'm teaching relates to their individual lives. Sometimes I'm more successful at this than other times. I just keep trying. I try to take every opportunity to use technology as I'm teaching--I KNOW that this is their Achilles' heel. I use the Internet, my digital projector, the Elmo document camera, my student workstations, and the SMART Board to aid and abet my efforts whenever possible. Leave that overhead projector where it belongs--in the 20th century. Please see my Teaching with Technology page for more details. Motivating students to participate in class is a MUST. The more students participate, I think we could all agree, the more they learn. I make it very clear to them that while they are in my classroom, I expect them to participate. I stress that this is part of cooperating with others to achieve goals. Something I found to be effective and relatively easy to do is to use actual students' names in worksheets and class publications, including signs and posters. This reminds them that I value their membership in my class. And, they LOVE seeing their names in print--especially when they know that their peers are seeing it too. For the most part, my students are very good participators. Almost all of them will complete or attempt to complete written work. Even the few who make no effort at all (and they are rare) WILL attempt word search and crossword puzzles. With that in mind, I use a LOT of puzzles. Puzzles are a great way for all kids to reinforce and practice what they have learned. 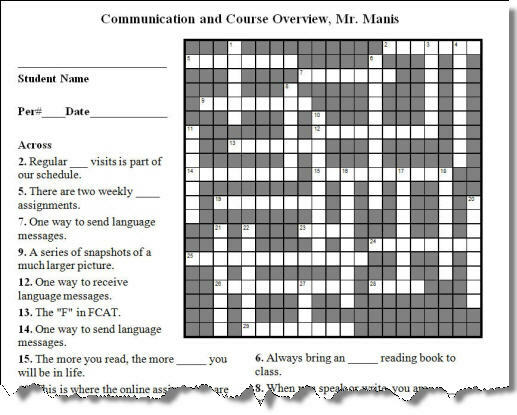 For many years, I have developed my own word search and crossword puzzles for kids to use. What's perhaps different about mine is that the words contained in the word search puzzle are the same words that fit into the crossword. It makes it sort of game-like, and as you know, they LOVE playing games. I will soon be including my collection of word searches and crosswords on this website. If you're interested, I'll let you know when they're available on News on Tools. As far as oral participation is concerned, that is sometimes more challenging for many of my students. Sure, I have a predictable number of kids in each class who will orally participate regularly. But so too, for whatever reasons, there are also a predictable number of kids who won't orally participate. With these kids in mind, I use tongue depressors regularly in class. This is a great way to ensure that every student has a chance to participate. 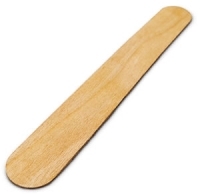 Popsicle sticks would work well for this, but I have found that tongue depressors work even better--you may purchase them at a very low cost from your local hobby store. Write the first and last names of each student in each class on individual tongue depressors. Use color coded rubber bands to bunch the depressors into separate class groups. Just prior to the arrival of your first class, place the depressors into a small bowl or other receptacle with the names facing upside down toward the bottom of the bowl. Select a student to draw depressors one at a time as needed for class participation. The selecting student reads the name from the stick, and the target student must answer a question, read a short passage, or respond to a comment. This accomplishes two things. It ensures that each student has an equal opportunity to participate. Additionally, all students are more attentive to the proceedings of the class because they are aware that they will eventually be called upon. Another effective method that I use less frequently is "Pick a Card, Any Card." Explain to the kids that they will be reading a play today. Continue by saying that the parts they will be reading will be determined by the luck of the draw. While students watch, shuffle the deck thoroughly. As you approach each student, fan the cards out with the lined-sides up and say, "Pick a card, any card." When everyone has a card, ask them to sign their names and class period number on the lined side of the card--even if they drew blank ones. Explain that you will be using the cards to give them credit for reading their characters' lines. Also, explain that those who drew blank cards will be the first ones to read the next time. Then, collect the cards and begin the reading of the play. While students are reading, I enter their participation points in my grade book. When the next class comes in, I repeat the procedure using the same cards. I have found this to be an effective way for including as many students as possible--the kids who always volunteer, as well as the ones who normally don't. If a kid forgets his or her part, I check the cards. Finally, if there is any disagreement about what kid is reading which part, I have written evidence. In my opinion, this is the most important strategy for motivating students. Take every opportunity to celebrate successes--the small ones and the large ones. A well-timed "Excellent!" or "Good Job!" in front of all their peers can fill them with a sense of importance and achievement. I KNOW that you already know that. But, can you think of 100 ways to say, "Good Job"? Here is a free downloadable﻿ that lists those ways. Another more elaborate (and concrete) positive reinforcement strategy that I have found to be effective is Reward Cards. This positive reinforcement technique is an effective way to provide free prizes for students in the form of privileges. Pick up a package or two of business cards at your local office supply store. Use Microsoft Publisher or Word to design the cards. Consider adding a simple graphic along with a brief description for each category of reward cards. The Skipper: Skip the written exercise of your choice. This card cannot be used for a test, quiz, or a survey. Home Free: Skip the homework assignment of your choice. Cannot be used if you are studying for a test. Hall Runner: Run all errands that require the use of a hall pass for one full class period. The Chooser: Choose students to read orally and to participate in classroom activities. Good for one class period only. Upgrade: This card is worth +.5% toward your term's end report card grade. Save it and earn more to go with it. Gumball: Chew gum in your language arts class for a full class period. No popping gum nor bubble blowing allowed. The Collector: Collect and distribute all papers, cards, progress reports, and homework log sheets for a full class period. The Clicker: Use this card when a computer presentation is being made to the class. Be the official mouse operator and clicker for the full presentation. Once you have prepared your cards, determine under what circumstances students will earn the cards. For example, the student earning the highest grade on a test may select any three cards. The student with the second highest score may select any two cards, and so forth. You can reward students with cards for anything that you deem appropriate--improving behavior, correctly answering a bonus question, or even donating a book to the classroom library. I have found kids to be very responsive to this approach. Some of them even collect cards and trade them with others. If you don't have a digital camera, please consider getting one. Many point-and-shoots are quite inexpensive these days. Try to get one that has a resolution of at least 5 to 7 megapixels, 10 or more would be even better. A smartphone will work quite well also. Photograph the kids who are achieving in your class and post them everywhere. They SERIOUSLY like that! At the end of each grading period, for example, I photograph a portrait of each student who is on track to achieve the goal of reading 25 books in the school year (the girl below is seated in front of my classroom library). Using double-sided tape (one side adhesive and the other magnetic), I place the photos on the classroom whiteboard. 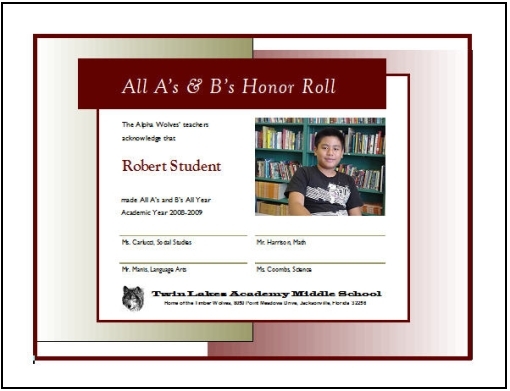 Posting portrait shots visibly for all to see is truly the best and most inexpensive way to celebrate student achievement. 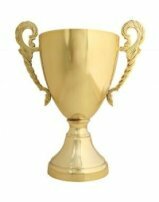 If you take the time to use one of the award templates available in Microsoft Publisher, for example, and use each student's photo in the certificate, it becomes much more valuable to them. If you also print the certificates in full color on card stock paper, it has even more impact. In all my years of doing this, I have NEVER found one of these on the floors. Speaking of that, if you’d like to get your hands on some free high-quality certificates, take a look at this page. Motivating students, as I'm sure you will agree, is one of the most important things that we do as teachers. There is really no single strategy, with the possible exception of photography, that will really do the trick. Whether or not you teach in a state or country that is moving toward tying student performance to teachers' paychecks, as they are here in Florida, I strongly urge you to find strategies that work best for you and your students.